Twice yearly, in line with the off-schedule fashion calendar, Newcastle based Fashion Designer Nisha Vedhara curates and prepares a multi tiered collection to present to the fashionistas of the North. Nisha and I have been friends for a few years now and although I’m probably biased, I speak the truth when I tell you she puts on a formidable show. Each season Nisha partners with a local charity, suicide prevention and support charity If U Care Share was selected as the partner for The Art of Style FW 16, with a proportion of funds raised going to benefit local families affected by suicide. Having been affected by suicide in my family, I can’t give enough props for this. ?? Nisha’s approach to her collection is three dimensional; her signature Love Niche line is actually designed and made by her, from sketch, to completion. She scours the globe for fabrics, prints and anything else she can use in her collections with inspiration coming mainly from India and the vivid, rich colours and textures available there. Love Niche Paris is Nisha’s most popular collection. Curated and bought in according to trends on the runway by Nisha with a focus on the outfit as a whole, rather than single pieces. Her third, more affordable collection is Love Niche London. A diffusion line selected by Nisha to make the brand accessible, but still desirable. The show, called The Moonlight Season, opened with Nisha’s own Cruise collection of bespoke kaftans and resort wear. Models walked the candlelit runway wearing striking flower crowns made by Kathryn Russell. Miss Junior Teen Great Britain, Harriotte Lane opened the show and told me afterwards that there were just days to go before she handed the title over to her successor. I took my seat with my photographer pal Hannah Todd, to take in the North East’s premier runway show…. First up, resort wear. A pretty awesome collection of cool kaftans, cover ups and swimwear. From racy fishnet throw on dresses, to soft, floaty full length waistcoats, the collection didn’t disappoint and was a lot more fresh and urban than Nisha’s usual classic offering. With the darker theme this season and topped with flower crowns, models looked like they’d strode straight off a Lana Del Rey video shoot. Love Niche Paris gave us structured dresses, fur stoles and palazzo pants, armour for the modern day girl boss and like nothing else you’ll find on the high street. Love Niche London is probably the most anticipated collection purely because of its affordability and wearability. Think runway trends re-spun for the highstreet with a classic vibe. The collection was full of stripes and separates finished off with hats, city gloves and chain belts. Nisha’s high end signature line, Love Niche was a collection of high octane occasion wear for urban warrior women. Guaranteed to create drama and turn heads, the collection garnered applause and a collective ‘ooooooooh’ from the sell out crowd. The stand out piece? A floor length dress coat with a nipped in waist and flared skirt worn by Miss Durham GB, Taylor Hamilton which opened and flared as she strutted the runway. TDF ? Next up, my turn. After being asked so many times about her bespoke collection, Nisha decided to enlist the help of the women she’s created one off pieces for. 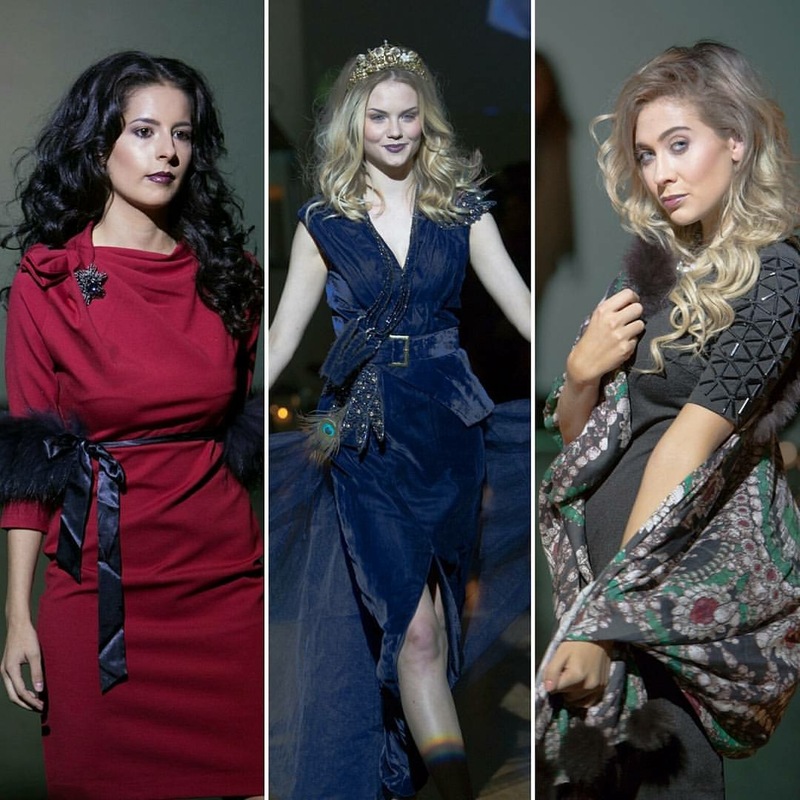 For the first time ever, Nisha’s actual clients took to the runway in one off, show stopping creations designed in collaboration with each client and made by Nisha. Our outfits were styled in the way we’d wear them ourselves so that the audience could see the versatility and personality in each piece. I wore my long sleeved sequinned top with a full skirt from Coast and a black velvet cape – very gothic princess. The bespoke luxe runway show also featured PR gurus Claire Barber and Sarah Hall and Rita Gray, a lady who’s become a friend of mine after Nisha introduced us a few years back (she calls me Carrie Bradshaw ❤️) and it added a new dimension to the show which showgoers agreed afterwards, allowed the audience to see how Nisha’s creations might be worn in ‘real life’. The Moonlight Season was certainly darker and a lot more edgy and relevant than previous seasons. The collection felt like more of a ‘journey’ than it has done before. Maybe it was the venue, or the fresher cast of models but the show seemed slicker and told the story of the collections effortlessly. Resort wear was a highlight, it was clear from the first outfit that Nisha had upped her game and come out stronger than ever before. With a whopping 83 outfits on show at The Midnight Sessions, I can’t wait to see how she tops this in Spring / Summer 2017. If you fancy checking out the ready to wear collections, then head to Love Niche Studio, a show space that feels a world away from the busy city and the hustle of the Grainger Market beneath it. Nisha also offers her bespoke dressmaking service from here or a personal styling service if you’re not sure where to start and she’s her own best advert, she rarely wears anything other than Love Niche and damn, can she put an outfit together.